James van Riemsdyk scored the tiebreaking goal just before the midway point of the third period, and rookie Carter Hart made 40 saves as the visiting Philadelphia Flyers edged the Chicago Blackhawks 3-1 on Thursday night. It's seven goals in seven games for van Riemsdyk, who went short-side off a lengthy backhand on screened Chicago goalie Corey Crawford to break a 1-1 tie with 10:10 left in regulation. 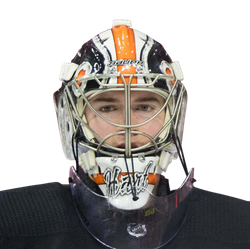 Hart, meanwhile, came up big often for the Flyers, who are desperately trying to find a way into playoff position in the Eastern Conference. Sean Couturier added an empty-netter to tie his career high with 31 goals and also had an assist for Philadelphia, which lost three of four entering the contest but improved to 10-2-1 over the last 13 on the road. The Blackhawks, also trying to make a late push into playoff position over in the West, have dropped two in a row following a five-game winning streak. Their current 2-3-1 stretch at home has not helped the cause. 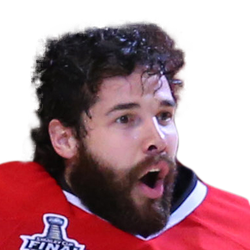 Chicago opened the scoring Thursday when Erik Gustafsson made the Flyers pay for a turnover in their own zone. The defenseman skated deep into the slot and wristed home his 15th goal, and second in as many games, with 9:21 left in the first. However, Philadelphia answered with 4:17 left in the first as Corban Knight went up top past Crawford (25 saves) for his first point in 15 games this season. It was also Knight's first goal since Jan. 5, 2016. Following an often-frenetic first period, things slowed down in the second. Chances were not as frequent, resulting in a scoreless 20 minutes. Each team had a shot hit the post in the third period before Philadelphia broke the tie and added some insurance. Couturier has seven goals and 13 assists in his last 15 road games. With an assist Thursday, Blackhawks captain Jonathan Toews extended his home point streak to 15 games (24 points).